Whenever you hear the term “Accounting” most of you might equate it to Math and very complex principles. However, it is a principle that can be learned quite easily. Since Accounting is the language of business which communicates the financial condition and performance of your company, it is important that as a businessman, you have to know its basic principles. The first thing you should understand about Accounting is that it has a widely accepted set of rules, concepts and principles that governs the applications of all the procedures in accounting. These accepted guidelines are referred to as Generally Accepted Accounting Principles (GAAP). The first concept to learn is that a business is a separate entity from its owner(s). In this case the business should always be treated separately from personal transactions. Only business transactions are recorded in the accounting books except in cases where the owner withdraws money directly from the business. A business should be viewed as something operating continuously through time. Using this principle, all assets are recorded bases on their original cost and non on their current market value. The same way, these assets are assumed to be used continuously and not to be sold. Assets – it is a resource with economic value that a business owns or controls with the expectation that it will provide future benefits. Liabilities – in layman’s term it is the business’ legal debt or obligation acquired during its business operations. These liabilities are paid over time by means of money, goods or services. Capital – it can be in the form of money or assets which are taken as a sign of the financial strength of the business. In general, it is the money invested in a business to generate income. You can determine capital by deducting liabilities from the assets of your business. Accounting only records transactions that can be measured using a monetary unit such as the Philippine Peso (Php). Any other transaction that cannot be measured in this unit or in any other equivalent currency should not be recorded. All resources acquired by your business should be valued and recorded in your books of accounts on the actual cash equivalent or original acquisition cost. It should never be valued using the current market value or any future value. Current market value can only be used if the business is already in the process of closure where your business assets will be sold. Basic accounting principle states that for every debit there should be a credit and vise versa. Accounting is all about debit and credit, for everything received there is something parted with. This principle therefore requires that revenue recorded in a given accounting period, should have an equivalent expense recorded, in order to determine the real profit of your business. 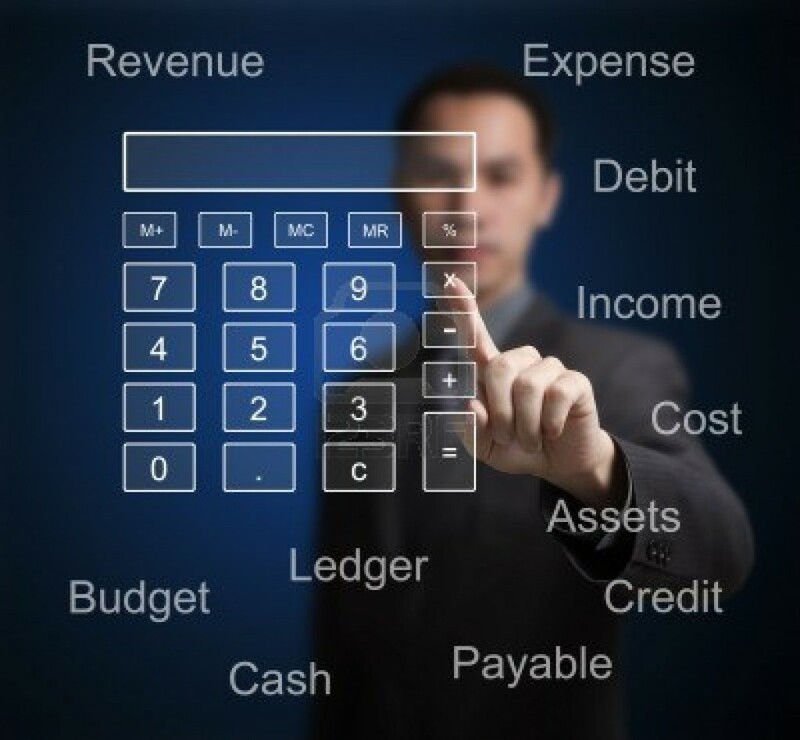 Businesses should have a period where the whole accounting process is to be completed. This accounting period can be monthly, quarterly or annually. There are two types of annual accounting period – Calendar Year or Fiscal Year. If you are recording any business transaction and you are given two options, the amount recorded should be the lower rather than the higher value for assets and the higher value for expenses. Your business should apply the same principle and policies used for your accounting every year so that your accounting date would be fair and consistent for comparison purposes. All material transactions that can affect the business should be reported properly and reflected in your accounting. A 1 peso difference may or may not be material for a business, thus if depends on how you treated it. Every transaction in your business should have supporting evidence and documentation such as receipts, invoices, etc. It also requires that bookkeeping and financial recording should be done with independence which is free of bias and prejudice. This last principle is very basic. Your business income and expenses should be recorded at the time when you actually earned or incurred them regardless of when cash transfer is involved. If you have a sale today but it is in credit, you should record it today, likewise, if your electricity bill comes today, you should record it today and not at the time of payment. The above basic accounting guide for non-accountants should help you understand more about how accounting works. These principles are recognized in all of our Philippine accounting solutions. For more questions and product inquiries please do contact us or call us at +63(2) 535-SEED or (535-7333).